Yesterday marked the beginning of the new Halo 5: Guardians multiplayer beta on Xbox Live. While I haven’t exactly been impressed with 343 Industries as far as the Master Chief Collection has been concerned; I think that they’re doing a smart job with the Halo 5 beta. Unlike a lot of recent betas – in particular for shooters – this Halo 5 beta is running for a pretty long time. The current plan is to end the beta on January 18, which will give them about three full weeks of data to look at. With that said, I played around in the current settings yesterday for a few solid hours with friends, so I thought I’d offer up my thoughts on how it looks. Visually, I really like the style so far – it looks like a pretty good mix of Halo 4‘s newer style Spartans, with some call backs to the classic games that we now have easy access to. My only issues right now are that in the Beta there’s no way to change the brightness, and with my TV setup it’s pretty dark. The other issue is that the Blue team is kinda saturated, which is really an issue on Truth, the Blue team blends in with the level too well, and can make it hard to pick them out sometimes. As far as actual gameplay for being a beta it runs relatively well – no crazy framerate issues, or major geometry issues yet either. While the beta right now is only a couple maps and Slayer to play, I think they do provide a pretty good glimpse of the direction that the gameplay is headed in. Overall, the feel is still very much Halo, but the execution is pretty unique. I think it’s borrowing a lot from the general shooter market this year in that there’s a big focus on movement. Titanfall did it with double jumps and parkour, Call of Duty did it with the exo movement – Halo 5 is doing it with the booster pack that all Spartans now have. It makes close combat much easier to get into, and helps extend your life by getting you out of combat faster. There are a couple little tweaks to keep the game balanced – like your shields don’t recharge if you’re sprinting now, and taking fire while sprinting will stop your sprint; but so far it plays very much like Halo, just with the speed cranked up a notch or two. The new Clamber system, which I was curious to see in action, really changes the way I thought about map movement. Instead of seeing a ledge that normally might require a series of jumps to clear, I can now jump up to it and clamber over the edge – it opens up flanking routes and changes map flow, I think initially for the better. One last area that I think people might be looking at closely is the new behavior of the weapons. Every weapon now has the ability to aim down sights, which makes every weapon more viable at mid-range. The assault rifle has gone from a spray and pray style gun to being much more consistent – while I still prefer the magnum for it’s ability to score a headshot, the assault rifle is now a decent starting weapon. As such, it’s even more important than ever to learn weapon spawns and control the map – especially in Slayer. The new streamlined maps which so far appear to only have one or two power weapons on them (which are called out before they spawn) are built to allow for areas to be controlled by teamplay, but still have ways to break the hold. All things considered, the current state of the beta has me much more at east with the state of Halo than the release of Master Chief Collection did. I think 343 might be on to something with this, and as the beta progresses, I think we’ll get a bit better idea of it. 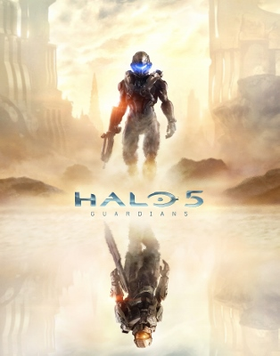 This entry was posted in Halo 5 Beta and tagged 343 Industries, Halo, Halo 5 Beta, Halo 5: Guardians, Multiplayer, Video Games, Xbox One by Dan Fasulo. Bookmark the permalink.